With the House of Representatives, Democrats can spell out a vision for the future. While some of the tallies are still being counted, Democrats will enter 2019 with control of the House of Representatives, which they have not held since their crushing defeat in 2010. This is a decisive blow to the Republican federal government. Without control of both houses, Trump and his allies in Congress will no longer possess the initiative in lawmaking. They will be forced to bargain with the other side. 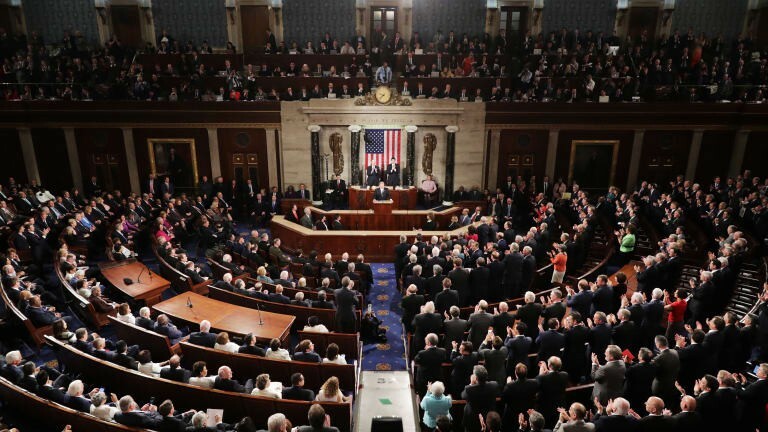 The recapture of the House gives Democrats a useful bully pulpit for the next two years. If properly utilized, it could lead not only to another series of wins in the House but to taking back the Senate and the Presidency in 2020. With a new census to follow, the 20s could be the decade to reverse the destructive policies that have been churned out by the GOP at the national and state levels during this current decade. For such a bright future to be realized, there are certain steps that Democrats, from top to bottom, will have to take. Let us consider them at this moment. This victory for the Democratic Party was not the product of its leadership in Washington. It would be a mistake to say that the likes of Pelosi, Schumer, or Perez resulted in this upset. This election was a reactionary blowback to the Trump Administration, plain and simple. It was, to a large extent, made possible by the reluctance of traditional conservatives to get behind their crass Commander-in-Chief. In many cases, efforts by the DCCC only hampered or enraged Democrats at the grassroots level. The only safe mindset going forward is to assume that these gains are ephemeral. They could disappear in 2020 as easily as they came this year. Thus, Democrats need to develop a better plan for this party than we have seen lately, and a better plan at this point can only come from new leaders. While Nancy Pelosi is likely to resume the role of Speaker, the truth is that she is no longer adequate for the needs of the party. She has done an excellent job of whipping House Democrats in key votes (attempts to repeal the ACA come to mind), but having an actual, reliable majority is always better than having a highly disciplined minority, because majorities are the ones who set policy. Lest we all forget, it was under her leadership as Speaker that we lost the House so comprehensively in 2010, and Pelosi (along with scores of other veteran Democrats) have shown little evolution or fair grasp on the issues as they have developed in the last eight years. They have been unusually tolerant of corporate influence in the party, to the ire of millions of citizens. Even if one might disagree with this criticism of the party, there is also no denying that Americans are tired of the Baby Boomer and Silent generations clinging to power well into old age, and this sentiment is felt about both parties. Through this election season, I met voters who were hungry for new leadership, for young people taking the wheel, many of whom were the same age as Pelosi, Biden, or Warren. House Democrats had an opportunity to choose a younger leader in 2016, just after Trump’s victory. 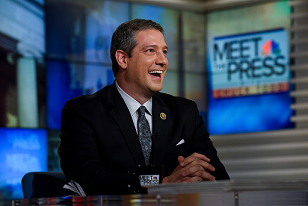 During the vote on new leadership, Congressman Tim Ryan of Ohio challenged Pelosi for her role. About a third of the Democratic delegation supported him (which marked a great deal of dissent within the party). The time may have finally come to give Ryan another chance at the leadership. 45-years-old and from a Rust Belt state, Ryan can boast a connection to and understanding of the pivotal communities that will determine the next election. A similar statement could even be made about Congressman Keith Ellison of Minnesota, who offers comparable youth and support of the increasingly popular, progressive ideas that are taking over the Democratic Party. The bottom line is that House Democrats need more than a talented broker and whip. They need someone who can use this new majority to channel the vision and values that will go beyond resisting Trump and spell out the betterment of the American life. Over the last two years, and especially during this season, I got a good grasp of the state of the Democratic Party as it exists locally. Of course, my view is limited to what occurs in North Carolina, but since this is a swing state and where the scales of this national contest will tip in our favor, it can provide useful lessons for much of the rest of the country. Continuing to point at gerrymandering and voter suppression does nothing to make Democrats more electable in the meantime. One of the more jarring observations I continually found myself making was the dilapidation of the Democratic Party at the local level. Many county parties were effectively non-existent or highly dysfunctional. Their volunteer base was small, which made entry for several of our party’s younger, first-time candidates needlessly difficult. North Carolina had the distinction in this election of not flipping a single House seat to the Democratic Party; the Republicans held firm control of this state’s delegation, despite winning only a slight majority of the House votes statewide, at 50.3%. While the intense gerrymandering of this state is largely to blame, at least one of these seats could have been flipped, and the failure of Democrats to accomplish that in North Carolina is cause for concern. To address this, the Democratic Party needs to become a year-round organization. It cannot only operate seasonally. It needs to look at hiring and staffing party managers at the local level, to provide a constant point of contact. It must also conduct operations aimed at bringing Generations Y and Z into the party, to replace the shrinking base of elder volunteers. If this means canvassing the younger neighborhoods of their towns as early as next February, then that is what Democrats must do. With a stable, younger apparatus in place, the party will be more able to support its players in these key races. The younger and poorer candidates who take a stab at the political process might actually be able to eke out some otherwise unattainable wins. Continuing to point at gerrymandering and voter suppression does nothing to make Democrats more electable in the meantime. If we want to overcome these hurdles, our only option is to work even harder than we have before, and there is plenty of room to do so. It is unfortunately very common in the party for officers not to do the jobs that they are elected to do. Some disappear completely, and there are rarely consequences for this dereliction, which only serves to make Democrats harder to elect. Introspection and adaptation at the local level is needed now more than ever. Democracy cannot merely be treated as a civic duty. It must also be treated as a professional duty. Two things currently define the Democratic Party, to its detriment. They are corporatism and identity politics. Both of these depress the party’s base and reduce its overall turnout. The shilling to corporate donors and special interests alienates the progressive, millennial voters, while the divisive tone of identity politics drives away older voters. With such a fractured base, long-term victories are untenable, so a reversal within the party is needed. If there is an easier way to explain why we need to abandon corporatism and identity politics, it is this: Republicans are better at both. Emphasis needs to be placed on policies that apply to everyone. Medicare-for-all is one of those policies. Repealing restrictions on unions and fighting climate change also meet this criterion. The same can be said for getting money out of politics or for funding schools and infrastructure better. Being a “pro-business” Democrat is meaningless to an indebted college graduate. Talking about white privilege to an ex-factory worker who has still not regained most of what they lost ten years ago and is now near retirement age only loses a vote. The more that Democrats go down this road, the more that a winning coalition of voters will slip through our fingers. We need a platform that will provide for marginalized communities while not decrying those outside such categories as inherent enemies. If there is an easier way to explain why we need to abandon corporatism and identity politics, it is this: Republicans are better at both. They are and always will be more corporatist, and their main identity groups account for a majority of the country. In the final analysis, we fight the Republicans on battlefields of their choosing at our own risk. It is time we chose strategies and messages that actually suit our voters and that represent a new majority. Growth and victory require us to swallow some hard pills. While Democrats can take this week to celebrate, we must also avoid complacency. Our endstate is not to defeat Trump. Our endstate is to become a party that can win regardless of who leads the other ticket and then to use that won power to govern effectively. The Democrats once held the White House for a twenty-year period, ushering in a series of progressive reforms to our society that remain to this day. It is always possible to return to that golden age, but that requires us to be the change that we want to see.